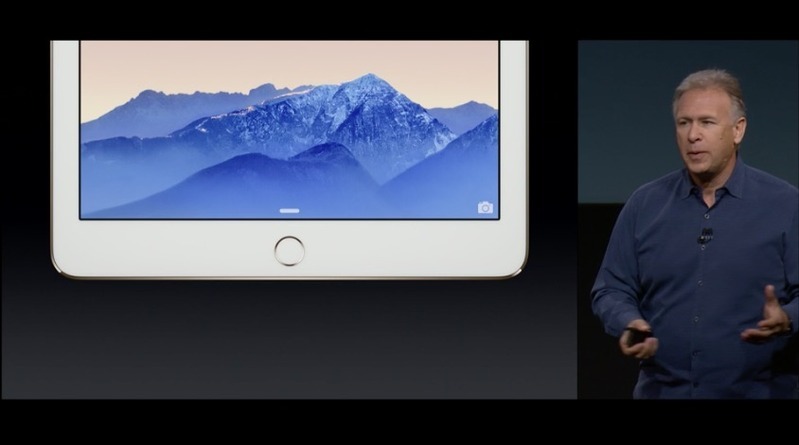 At today's media event, Apple introduced the all new iPad Air 2. The second-generation tablet features an ultra thin profile that's just 6.1mm thick, much thinner than the 7.5mm original iPad Air. The significantly thinner design was enabled through the use of a gapless laminated display panel that also produces sharper images. In addition to a thinner chassis, the new iPad Air also includes a Touch ID fingerprint sensor, a faster A8X processor, a new 8-megapixel iSight camera, and an anti-reflective coating that reduces glare by up to 56 percent. According to Apple, the iPad Air 2 is 18 percent thinner than the first-generation iPad Air and its A8X chip features a 2nd-generation 64-bit architecture which is 40% faster than the A7 used in the first iPad Air in terms of CPU performance up to 2.5x faster when it comes to GPU performance. Like its predecessors, the iPad Air 2 gets 10 hours of battery life and it also includes an M8 motion coprocessor that gathers data from the accelerometer, gyroscope, compass, and an all-new barometer that senses air pressure to determine relative elevation. Apple has added a Touch ID fingerprint sensor to the iPad Air 2, which was said to be the "most requested feature from customers." With Touch ID, iPad Air 2 owners can use their tablets to make Apple Pay purchases within apps that support the Apple Pay API. The iPad Air 2 does not have NFC support and thus cannot be used to make purchases in retail stores. 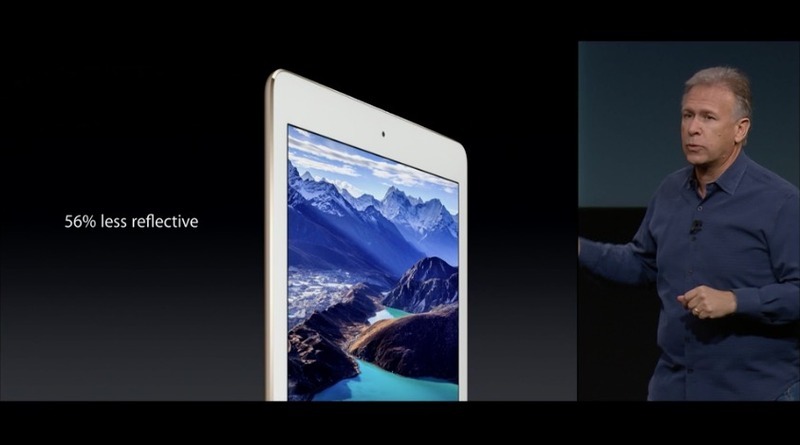 The iPad Air 2 has gained 802.11ac Wi-Fi with multiple-input and multiple-output (MIMO) capabilities. Apple states that the iPad Air 2 contains 2.8x faster performance with support for speeds up to 866 Mbps on Wi-Fi and now contains 20 LTE bands for faster LTE with support for speeds up to 150 Mbps via LTE Advanced. Apple has also included a new 8-megapixel iSight camera on the iPad Air 2, which features an f/2.4 aperture and can record 1080p HD video. For the first time, the camera can take 43 megapixel panoramas and burst mode photos, and it is also able to shoot time lapse and 120 FPS Slo-Mo video. The front-facing FaceTime camera on the iPad Air 2 has also been improved, with an f/2.2 aperture that lets in 81 percent more light. 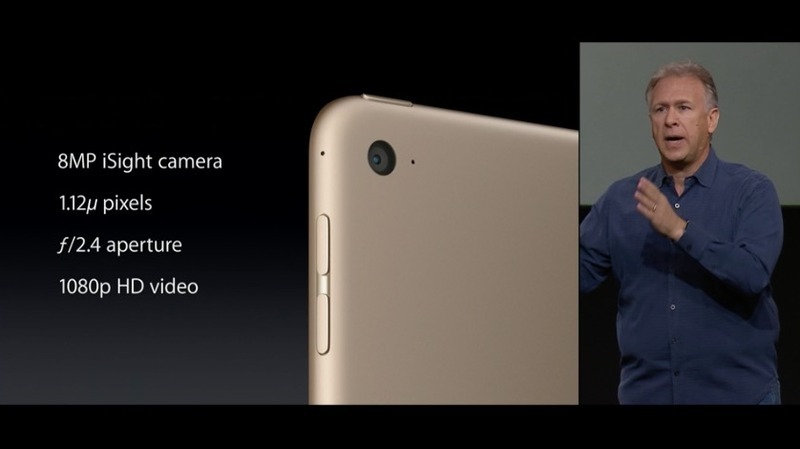 It lets users take burst mode selfies, single-shot HDR photos, and HDR videos. Pre-orders for the iPad Air 2 will begin on Friday, October 17, and the tablet will begin shipping at the end of next week. Available in gold, silver, and space gray, the iPad Air 2 is available with 16GB, 64GB, and 128GB storage capacities, priced at $499, $599, and $699, respectively, for the Wi-Fi models. Cellular models are also available and are priced $130 higher, at $529, $629, and $729. "We're tripling down on secrecy"
16 GB for the entry lineup ??!!! Come on apple, this is the IPAD. Really irritated that the new Mini 3 has the same old A7. So the only thing that separates it from the old is touch ID. Apple, sometimes I do hate you. They have upgraded the camera, which is great. They have increased what the camera can do, which is great. They are accepting a large screen is great for photo composition, which is great. They are accepting its great to directly edit your just taken footage on the large screen, which is great. Yet (bangs head against wall) they STILL don't seem to think anyone with an iPad ever takes a photo in anything other than sunlight or bright lighting conditions. There is no dam flash unit! Despite the MASSIVE battery, and the space on the device, and the 2 dollars it would be to include it, STILL NO FLASH UNIT. Why does the blatantly obvious continue to escape Apple year after year after year? I presume, either next year or the year after it will finally dawn on them to fit a flash unit. And for those who don't like taking photo's on their tablet. Well that's fine. Happy for you, but you should not dictate what others may wish to do with their device. And yet, they've decided to make it stupidly thinner and less resistant instead of increasing the battery life. But I think I'll squeeze another year out of my iPad Air. Heck, I'm still happy with my iPad 2.